One of Australia’s closest neighbours, Indonesia is a country of extraordinary contrasts. Made up of over 17,000 islands, 700 languages and 300 ethnic groups, it is well placed to live up to its national motto, ‘unity in diversity’. Indonesia lies a disaster-prone region, suffering from recurrent shocks such as earthquakes, drought and internal conflict. 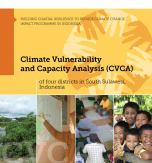 The impacts of a changing climate are especially felt in some of the country’s poorest communities, where more than half work in agriculture, often as small-scale subsistence farmers. Two-thirds of Indonesians live in rural areas. Despite a steadily developing economy, the gap between rich and poor has grown by up to 60 per cent in the last decade. Since 1967, we’ve worked with communities in Indonesia to improve access to water, food, shelter and vital health services. To minimise the effect of future disasters, we’re helping people develop sustainable methods to prepare for, respond to and reduce the impact of disasters. 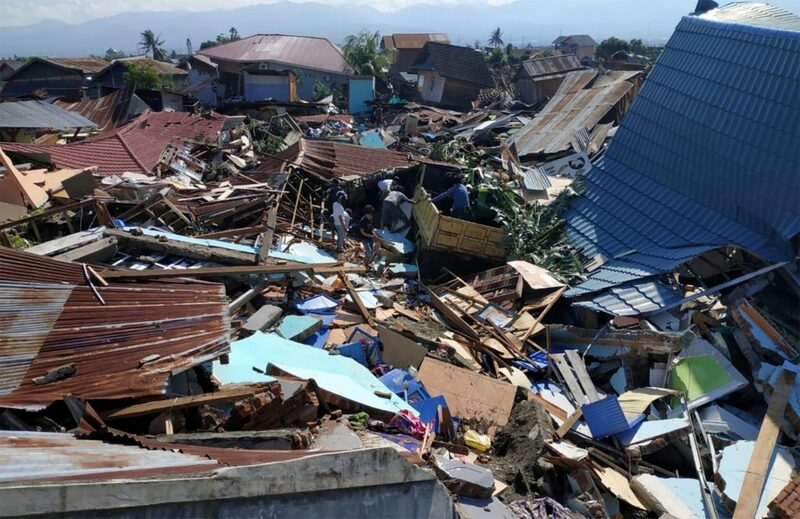 Following a massive 7.5-magnitude earthquake, a tsunami as high as six metres smashed into the Indonesian island of Sulawesi, causing catastrophic damage and loss of life. More than 1,200 people have lost their lives. We expect this to rise. Almost 42,000 people have been displaced. The overall affected population is 1.5 million people. Details are still emerging but we can be certain that a large-scale humanitarian response will be required. CARE is already on the ground in Indonesia, where we have worked for over 50 years alongside local partners. We are assessing the damage and are ready to respond with life-saving clean water, shelter, and hygiene kits. Please donate now to help thousands affected. On the morning of Boxing Day 2004, a massive earthquake, one of the most powerful in history, struck the west coast of northern Sumatra. The quake triggered a powerful tsunami that would see more than 280,000 people killed and more than a million others displaced. In Aceh, one of the worst affected areas, more than 132,000 lives were lost. The debris from homes and other infrastructure was strewn across thousands of kilometres of shoreline, and millions of people, having lost everything, were left to rebuild their lives. In the immediate aftermath, CARE’s emergency response teams were among the first to provide critical relief to those in desperate need of food, clean water and shelter. During what would become our largest ever humanitarian relief effort, we provided critical support for 1.3 million people across five countries, over a five-year period. In the years following the disaster, our relief efforts shifted to sustainable and long-term recovery of tsunami-affected communities, helping people rebuild their lives, be better informed and have more resources to prevent and reduce the effects of future emergencies. 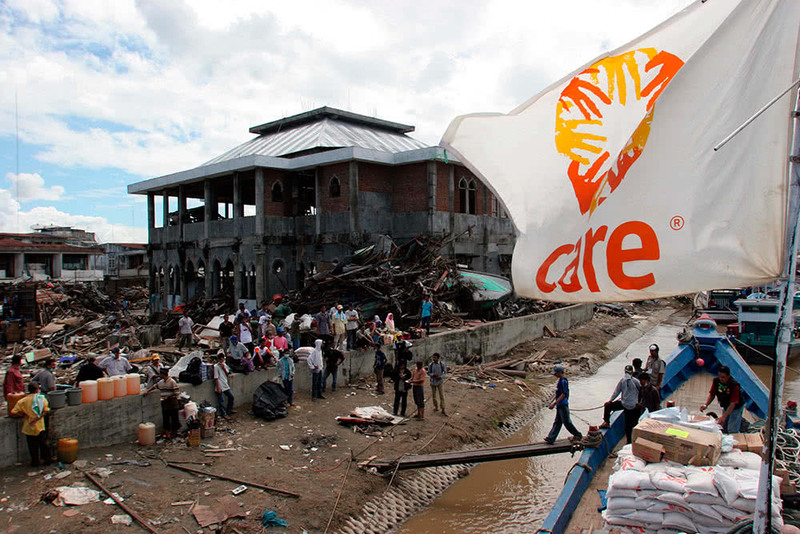 CARE provides emergency food, relief supplies, water and sanitation, and shelter to survivors of natural disasters and conflicts, reaching some of the most vulnerable, marginalised and worst hit communities. We have extensive experience in responding to emergencies in Indonesia, most recently earthquakes in Central Java (2006) and West Sumatra (2007 and 2009), and yearly flooding in Jakarta. We also provide humanitarian assistance and resettlement support for large displaced populations in West Timor. After the emergency phase has passed, our efforts help communities to rebuild over the long term. We assist those most vulnerable to emergencies to build disaster-resistant housing and develop disaster plans in the event of future emergencies.